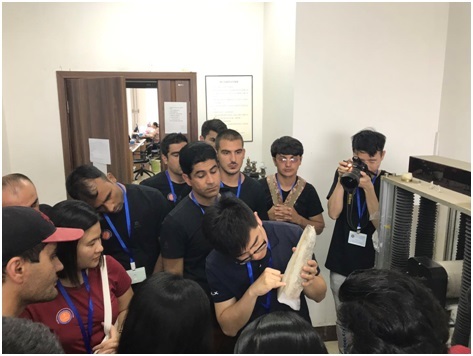 On the morning of May 28, 2018, a 15-day International Training Program of Climate and Environment Change on “The Belt and Road” organized by The Belt & Road Center for Earth Environment Studies (B&RCEES), Institute of Earth Environment, Chinese Academy of Sciences has come to a successful close. 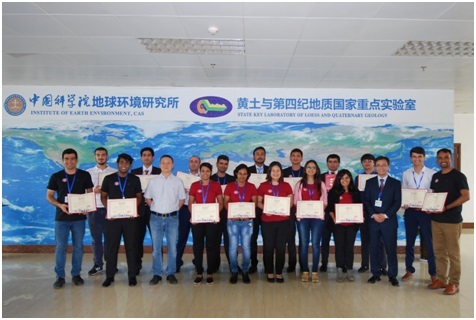 The 19 young scholars from the countries along the “The Belt and Road” participated in this training program, and received a certificate of completion. The training program has taken diverse teaching methods integrating the form of a combination of classroom learning, laboratory visits and training, field work, typical case teaching and interviews. During the classroom learning sessions, the students systematically studied the courses about tree rings, stalagmites, wind-dust deposition and global changes, coral/giant clam and marine environment changes, the application of multiple methods in the research of regional ecological and environmental changes, aerosols and atmospheric environmental changes, climate numerical simulation and the principle and application of ICP-MS and accelerator mass spectrometry. 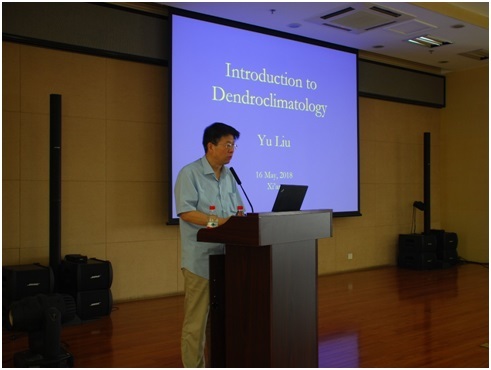 In the process, they had basically grasped the basic theoretical knowledge, experimental methods and frontiers of climate and environmental change research. During the laboratory tour, the students systematically visited the advanced equipment and analyzing & testing platforms of the institute and had a hand on practice on some instruments and equipment. 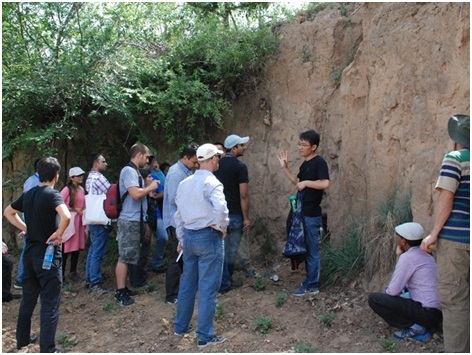 In field investigations in the Qinling Mountains in southern Shaanxi and the Loess Plateau in northern Shaanxi, the participants had received basic trainings on the principles and sampling methods of tree-rings, stalagmites, and loess sediments, and learned about the results of ecological reservation in Loess Plateau. At the closing ceremony, the participants exchanged the results of participating in this training program and expressed sincere thanks to the organizers. 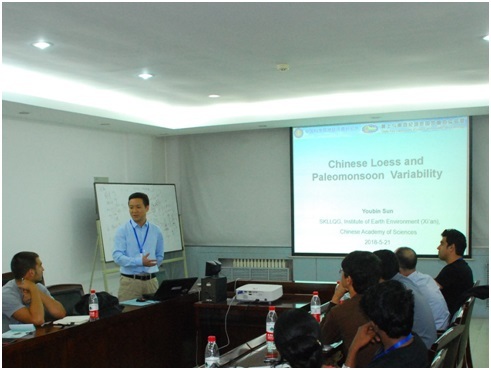 “The geoscience and environment research in China are much more active than those in my country. At IEECAS, you can find nearly all type of equipment for Paleoclimate research. This training program offers a very good opportunity for us to discuss sciences with leading experts in the field of climate research. From participating in the training program, we have been given the opportunity to present what we are doing, to get suggestions and feedback on our work and to learn a great deal about research from the world class scientist. 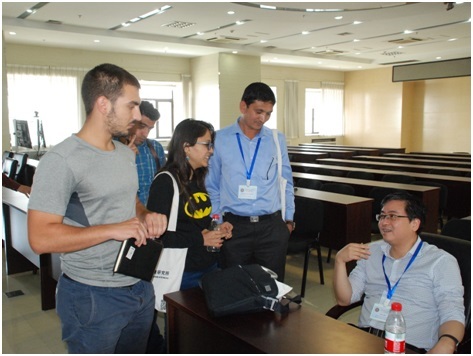 The training program has tightened the ties among the young researchers in the countries along “the belt and road”. This encourages and helps us to establish and to promote our joint research in the future effectively. At the same time, we have also learnt Chinese culture, as well as those warm hearted Chinese people here. In short, I have really benefited a lot from this training”, said Dr. Sakonvan Chawchai, who was from Chulalongkorn University, Thailand. She also expressed her willingness and enthusiasm on further promoting cooperation between the Institute of Earth Environment and Chulalongkorn University of Thailand in relevant research fields when she returned home. 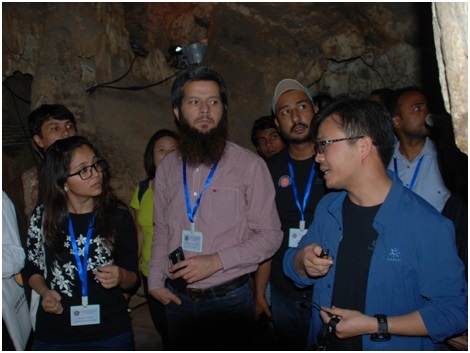 The training course was organized by the Institute of Earth Environment and it is one of the examples that the Belt & Road Center for Earth Environment Studies (B&RCEES), Institute of Earth Environment positively responds to and carries out the national "Belt and Road" initiative. This program has not only enhanced the research capacity in the field of climate and environmental change of the young trainees, but has also promoted the cooperation of scholars in the field of climate and environmental change research. It surely will have a positive effect to enhance the further academic exchanges on earth environment science along the Belt & Road countries.